President Trump appeared to buck tradition on Tuesday, launching into his State of the Union address without waiting for House Speaker Nancy Pelosi, D-Calif., to introduce him. 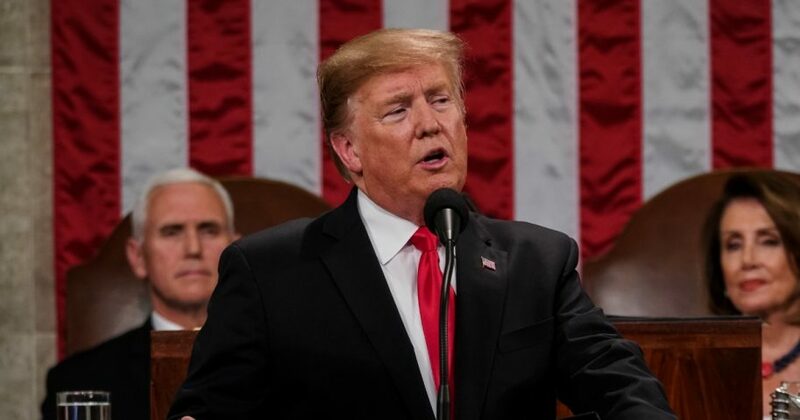 The president is typically given a formal introduction once reaching the dais inside the House Chamber, which follows the House Sergeant at Arms announcing the president’s entrance into the chamber. It wasn’t clear whether Trump’s quick start was an intentional snub. After the speech, Pelosi played down concerns over the idea that Trump snubbed her or broke any rules before the speech. Remember: The diplomatic thaw did not begin with Trump. It began in early 2018 when South Korean President Moon Jae-in welcomed North Korean athletes to the winter Olympics in PyeongChang in February. In April, Moon and Kim Jong Un held the first inter-Korean summit in more than a decade at the Korean demilitarized zone. Trump did break precedent by hastily agreeing to an historic summit in Singapore with Kim. The June 2018 talks led to a vaguely worded commitment to “complete denuclearization.” Talks between the US and North Korea have faltered due to both sides’ drastically different definitions of denuclearization, but Trump announced during the speech that he would meet for a second summit with Kim on February 27-28 in Vietnam. Stacey Abrams, a rising star in the Democratic Party, delivered its response to the State of the Union from southwest Atlanta. The former Democratic gubernatorial candidate, who donned a white brooch as a hat tip to the suffragettes, set a personal tone, starting off what might be considered her biggest spotlight moment to date, talking about her childhood, saying that her family “went back and forth between lower middle class and working poor. Yet, even when they came home weary and bone-tired, my parents found a way to show us all who we could be.” She added that “faith, service, education and responsibility” were their family values. “Our power and strength as Americans lives in our hard work and our belief in more…..but we do not succeed alone – in these United States, when times are tough, we can persevere because our friends and neighbors will come for us,” Abrams said. America has always been great. He has done little to improve the real issues, such as infrastructure, affordable healthcare, education. He is an un-indicted co conspirator who has brought criminal after criminal into our white house, he has conspired withour adversary and spit at our allies. We want him impeached.